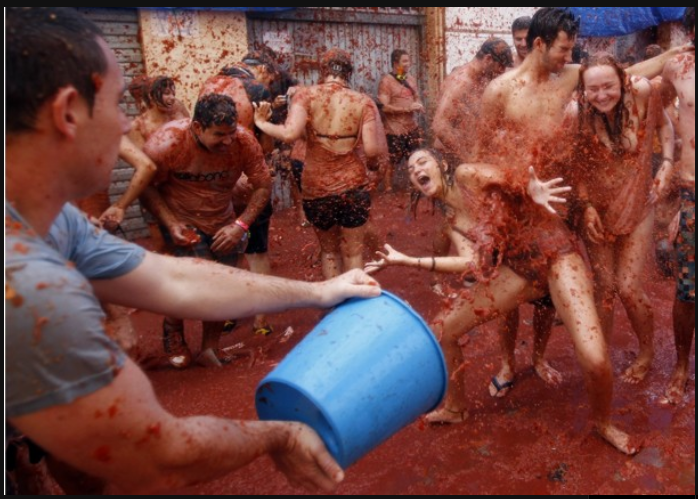 Tomatina – or tomato fight – is an annual brawl held in Spain. 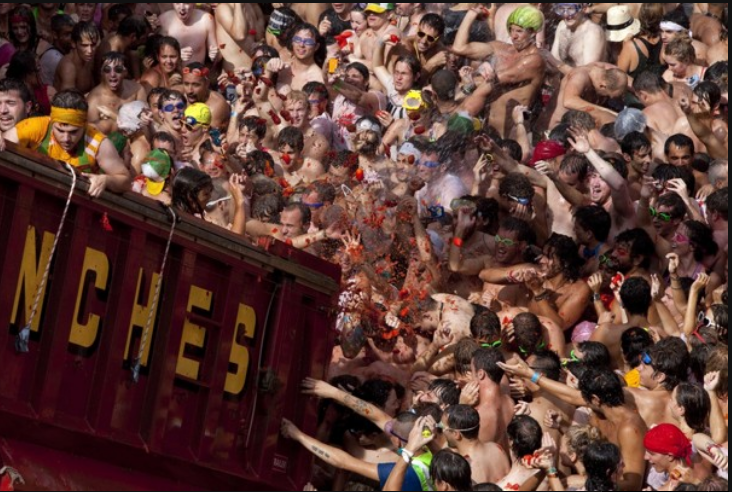 120 tons of tomatoes are thrown around as people celebrate, something. According to the article no one knows what they are celebrating. The origin of the tomato fight is disputed — everyone in Bunol seems to have a favorite story — but most agree it started around 1940, in the early years of Gen. Francisco Franco’s dictatorship. Oh right celebrate a dictator – pardon my intelligence from getting in the way of that. 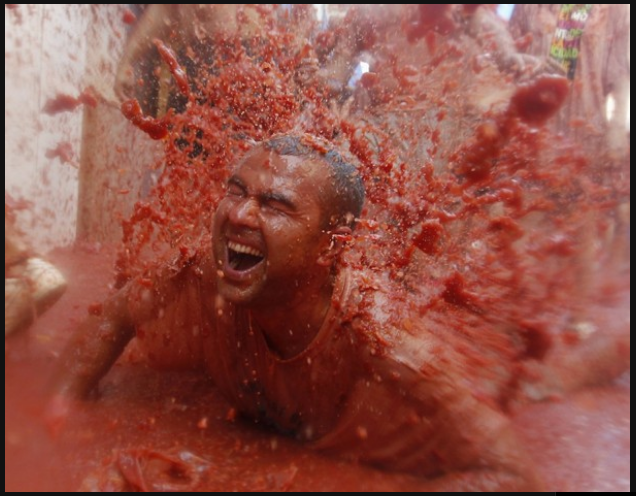 This entry was posted in Uncategorized and tagged entertainment news, food fight, media, News, pop culture, spain tomato fight, tomatina, tomato fight by goodnightsnack. Bookmark the permalink.